They're part of Ubisoft's early next gen push on the Xbox One and PlayStation 4, and they reflect that real jump in technology both within their game worlds and in the ways that players interact with them. Companion apps on mobile devices have traditionally felt like unnecessary tack-ons, but Ubisoft is looking to change that with the Watch Dogs, The Division and AC4 tie-in tablet apps. Ubisoft is quietly but firmly pushing for these apps to become integral to the gaming experience, and next gen gamers may soon find themselves playing with a tablet in their laps more often than not. We've seen Watch Dogs a few times before, but every time we do it impresses us with new features. During Sony's E3 press conference on Tuesday Ubisoft showed hacker protagonist Aiden Pearce using his environment as a weapon to thwart armed foes - a familiar sight. But they revealed even more, including a glimpse at multiplayer, behind closed doors on the show floor. Watch Dogs' uncomfortable vision of the future, in which an entire city can be hacked on the whim of one talented vigilante, wows us every time we see Pearce hack a traffic signal or jump between security cameras using only his smartphone. Likewise players can jump into one another's games using the Watch Dogs companion app to hack into that same system, either helping or hindering each other. You'll have access to the same elements of the virtual city's operating system, which controls everything from traffic lights to the city's very power grid, that players on consoles will. Pearce uses his cell phone to hack into the world around him; you'll use your tablet to hack into Pearce's world. How clever is that? Console-to-console multiplayer allows players to hack one another's games, triggering frantic games of hide-and-seek and fast-paced car chases. We're hoping additional players will be able to disrupt these multiplayer duels with the tablet app, but that functionality isn't confirmed for the game. "We haven't got the exact details on that," the game's lead story designer, Kevin Shortt, told TechRadar, but he left the possibility on the table. 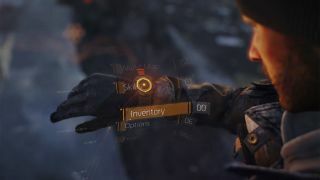 Tom Clancy's The Division made its debut at E3 2013, and it's one of the most impressive-looking titles we saw all week. It also takes the companion app integration further than any game we've ever seen. Set in a "mid-crisis" world in which a plague has caused economic and societal collapse, The Division is about a squad of elite government agents trained to deal with just such a catastrophe. It's a shooter with deep role-playing elements. And like many of the next gen games we're seeing, it boasts seamless multiplayer and other MMO-like mechanics. As we watched a demonstration of the game in action, a flying drone flitted into sight and began shooting the player's enemies from above. That drone, the developers explained, was being controlled by another player using the tablet app. The Division truly looks like a next gen game; its virtual New York City is packed with more details than any Xbox 360 or PS3 game. It's also devastated by disease and guerrilla warfare in the streets as everyday technology breaks down and bands of survivors fight over the remnants of society. Despite that, advanced tech like holographic watches and smart grenades is commonplace. It's this world that players will enter - both through their next gen consoles and through tablets. Controlling a flying drone on a tablet, you can fire on enemies, break down their armor, tag them so allies can more easily see them, heal your friends and more. Your drone will even have its own skills and abilities to upgrade. The Division's companion app doesn't just feel like a game - it is a game, and more importantly it's the same game that console players will inhabit. It's certainly not just an afterthought with leaderboards and maps. Speaking of which, it seems Assassin's Creed IV's companion app, which TechRadar saw in use during another demonstration at E3, will offer little more than leaderboards and maps. The thing is, sometimes that's what you need most. A machine gun drone would certainly look out of place hovering around Black Flag's 18th century pirate ships, so Ubisoft chose a simpler route. It created a more familiar companion app that displays stats, leaderboards, an interactive map, database entries, and more. In a game like Assassin's Creed IV you might be juggling a half dozen different tasks and goals at any given time. A tool that helps you disseminate all the information at your disposal is not an unwelcome addition. It's nothing groundbreaking, but it seems that's what Watch Dogs and The Division are for. And there's no guarantee that there won't be more to it, as Ubisoft has barely scratched the surface when it comes to showing off AC4. Either way, from seeing what Ubisoft is doing with tablet integration at E3 we've realized that if you're a gamer and you don't already have a tablet, now may be the time to pick one up. They're about to become more useful than ever.